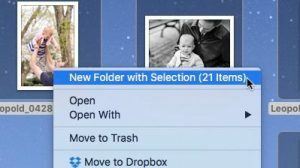 It shouldn’t feel like such a chore, but it does: creating a new folder on your Mac and then stuffing a bunch of stray desktop files into it. First, you need to right-click the desktop, select “New Folder”, rename the folder by selecting its label (which always takes me a few tries, for some reason), then select and drag files into the folder. That’s a few too many steps, if you ask me. 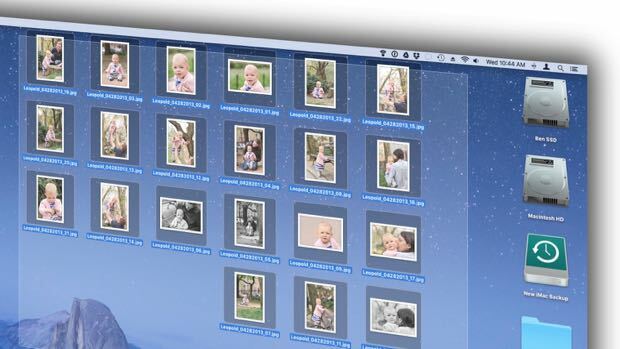 Right-click the files you want to organize, select “New Folder with Selection,” and let your Mac take care of the rest. Feel the same way? If so, good news: there’s a handy shortcut that’ll let you take a bunch of desktop items (or, indeed, files anywhere on your hard drive) and stuff them into a brand-new, empty folder – and and all it takes is a couple of clicks. Just select the files you want organized, right-click ’em (that’s click No. 1) and select the first menu option, “New Folder” with Selection (click No. 2). When you do, all the files will immediately jump into a nice, neat folder. Even better, the name of the new folder will already be selected, meaning you can simply start typing to rename the folder—much easier than trying to select the folder name manually.